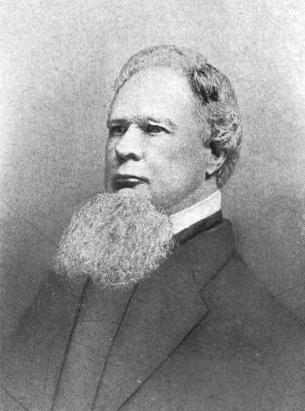 William Gilmore Simms knew he would die in 1870. "I am rapidly passing from a stage where you young men are to succeed me, doing what you can," he wrote to his friend Paul Hamilton Hayne two days into the new year. "My last days would be cheerless in the last degree but for numerous good friends, who will hardly allow me to suffer... but I am weary, Paul, and having much to say, I must say no more." Simms's health improved slightly in the coming months, but quickly reverted to the point where he was often bound to his couch and rarely left his home — sometimes for weeks at a time. Making matters worse, one of his final stories had been rejected by a magazine, which never returned his incomplete manuscript. Simms rallied long enough in early May to offer a final public appearance, delivering an opening address for a flower show in his native Charleston. A month later, the poet/novelist/editor wrote his last letter to Hayne, noting his "long and exhausting malady" was overtaking him and that his illness had left him emaciated "to such diminutive proportions" that he would no longer be recognized by his friends. It was 5 p.m. on Saturday, June 11, 1870 that William Gilmore Simms died, likely from liver disease. Nine years later to the day, the people of Charleston unveiled a memorial to him. Simms had asked that his epitaph note that "he has left all his better works undone." And sweet expression o'er his features ran! The conqueror, though he falls, for still he loves. How touching that the people of Charleston gave him a memorial. As a writer, I know how much we depend on our friends. They are a buffer and a refuge.